Cause UK client Riverside featured on ITN News on 30 October for its support for the Walk of Britain. 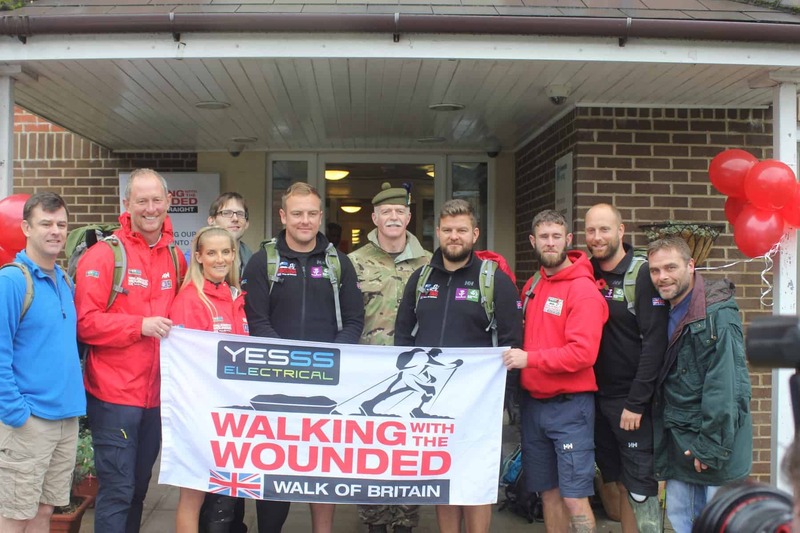 Veterans from Riverside’s Mike Jackson House joined the six wounded veterans walking 1,000 miles in ten weeks to raise money for Walking With The Wounded for the 16 mile stretch from Aldershot to Bracknell. The team received a big send off, with the Mayor of Rushmore and Garrison commander in attendance. The Walk Of Britain, which began on 22 August in Scotland, will be completed on November 1st at Buckingham Palace, as the team are met by Prince Harry. Mike Jackson House provides 25 self-contained flats for single ex-service personnel who have been homeless or at risk of homelessness. Two of the Mike Jackson House veterans joining the walk were Dave McNeilly and Duncan Welton. Duncan, 43, has been a resident of Mike Jackson House since March. He served 11 years with tours in the Falklands, Kosovo and Northern Ireland. Duncan developed Post-Traumatic Stress Disorder, his marriage broke down and he lost his job after suffering depression and suicidal thoughts. As a triathlete, he was undaunted by the physical challenge of the walk.